Multiple scenes of Sherman County, Kansas. In the Tom Laughlin photograph, pictured left to right: Elbertine (Laughlin) Hayden, Sylvia (Laughlin) Simmering, Dell (Radenback) Laughlin,Tom Laughlin. 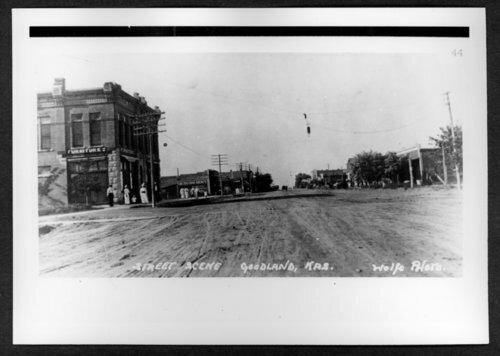 Scenes of Sherman County, Kansas - Looking north from 13th with Bower furniture on the left, about 1910.